A fair exterior is a silent recommendation. Admonish thy friends in secret, praise them openly. To-day is the pupil of yesterday. It is a consolation to the wretched to have companions in misery. Money alone sets all the world in motion. If you refuse where you have always granted you invite to theft. Tis foolish to fear what you cannot avoid. The end always passes judgement on what has gone before. As a little girl I used to daydream about my real father coming on a white horse to rescue me. Ready tears are a sign of treachery, not of grief. No one should be judge in his own case. He doubly benefits the needy who gives quickly. 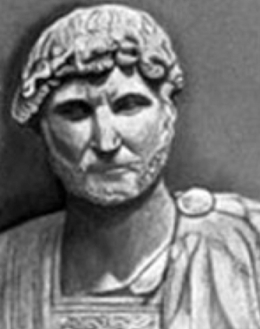 51 quotes by Publilius Syrus.